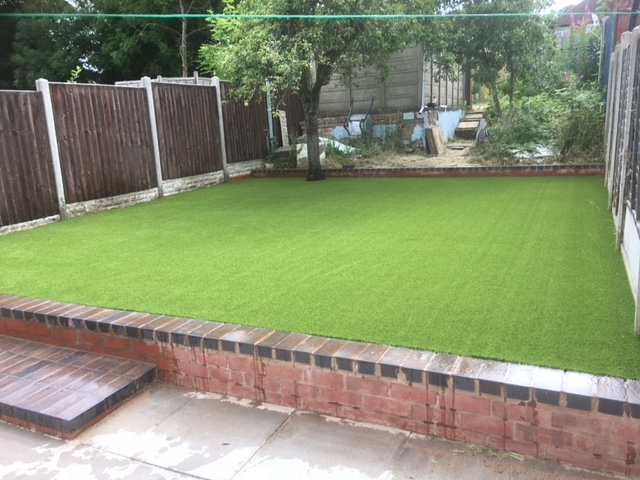 Unlike many artificial Grass Installers, West Midlands Artificial Grass are from a grounds maintenance background and having been established for over 25 years, we are so much more than just another artificial grass installation company. 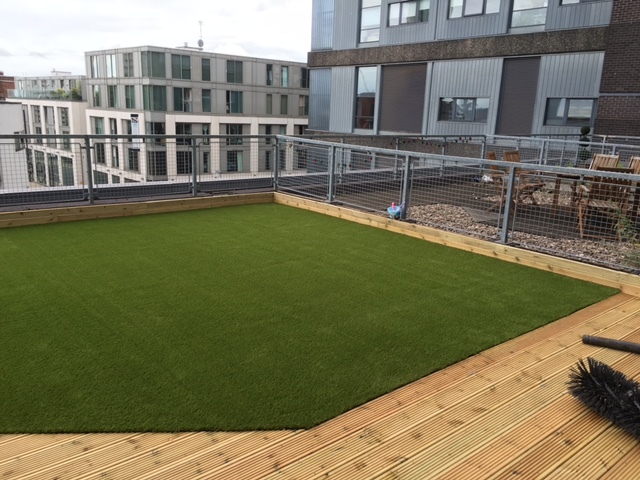 Artificial grass is becoming increasingly popular as it has many benefits that our customers love, no mowing, no weeding, no mud and one of the main factors is that our artificial grass is pet and child friendly. 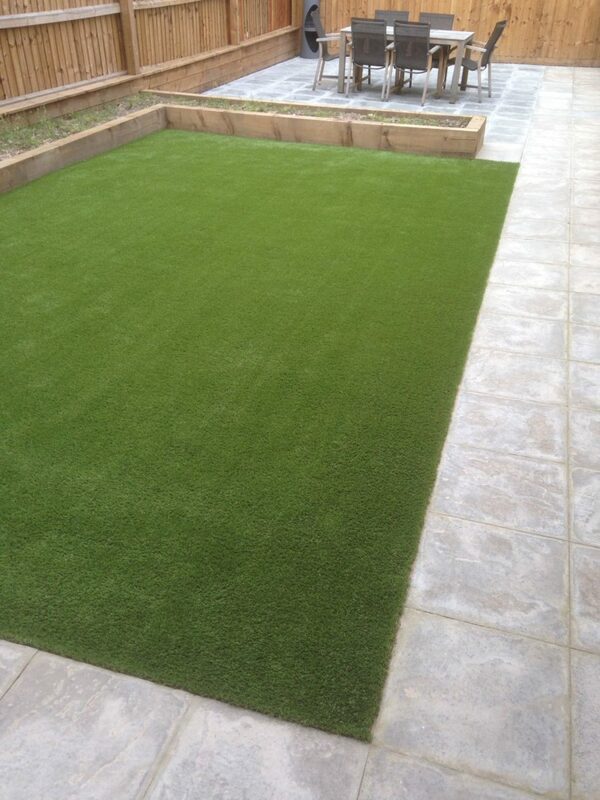 Our customers love it as it is so easy to maintain and looks amazing 365 days a year. 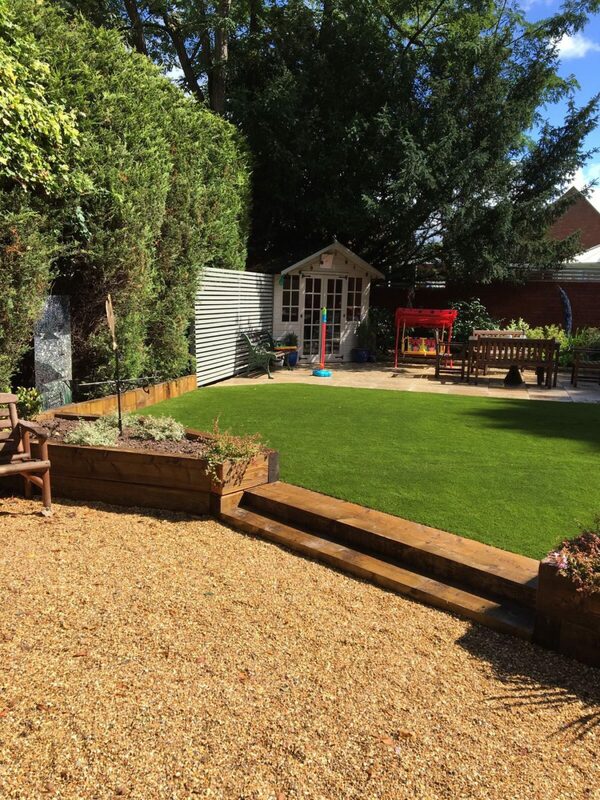 Artificial turf really is the answer to a great looking useable lawn all year round. Please contact us regarding flexible payment options. 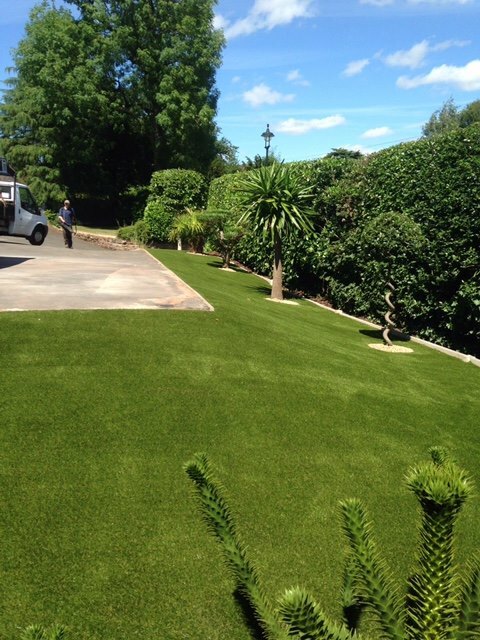 We have the knowledge and experience to ensure you have the absolute best alternative to traditional turf. We offer a supply only service too and can offer excellent trade rates, please do not hesitate to contact us. 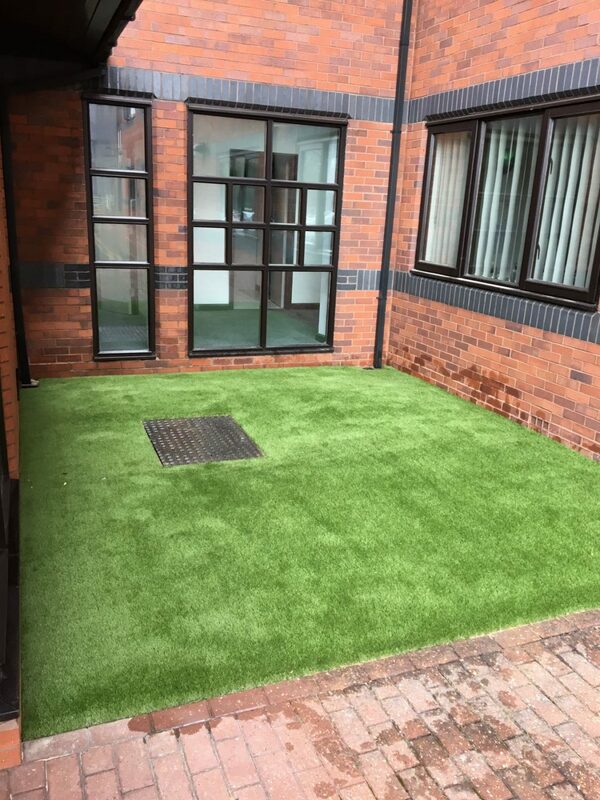 Our products can be applied to any surface and provides the perfect solution to any ‘problem’ areas, where natural turf is not practical. 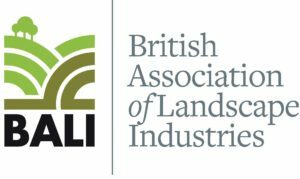 All of our grasses comply with the latest British and European Standards so we can ensure safety, quality and durability. I would like to say I am very happy with the grass & the professional way the men worked it looks even better than I could have visualised. I will definitely be singing the praises of your company to anyone I know who is thinking of having artificial grass. I just wanted to say thank you for your service, the lads were brilliant, can you pass on my sincere thanks for all their hard work. We are more than happy with our new grass. Could I also take this opportunity to express our satisfaction with the workmen, they were extremely courteous, tidy and efficient. We would be more than happy to recommend your services to others. 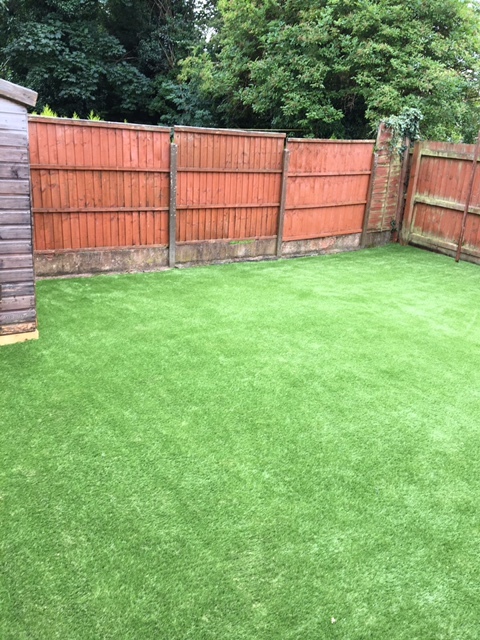 I looked into getting my lawn replaced with artificial grass because although I like the look of a lawn I was fed up of the mud and damage to the grass from my boys constantly playing football on it. I sent away for samples from various companies and when I opened the envelopes most of them were full of loose bits of grass and many of the samples looked like artificial Christmas trees. Easigrass said that they prefer to come out and do a quick survey and show their samples and could leave me the ones I was interested in to show my wife. I invited 3 companies along to do a survey and Easigrass was the only one to show up. They came out, discussed what I used the lawn for and showed me the samples and recommended the best products for our needs. They measured my lawn, took a few photos and provided me with a quote. I decided on Belgravia, the lawn was tear drop shaped so there was a lot of cutting to do. The team were on time, very polite and did a fantastic job. Not only does it look great but my boys can play football all day without marking the grass and coming in covered in mud. I would just like to say that I am more than pleased with the way my garden has turned out, it by far exceeds my expectations. The guys that did the work are a credit to you, they worked hard with no complaints in searing temperatures. I will be recommending your company to anyone and everyone. 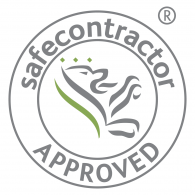 We are very pleased with the job that your guys have done and you should get a couple of new customers contacting you as they have been and had a look. 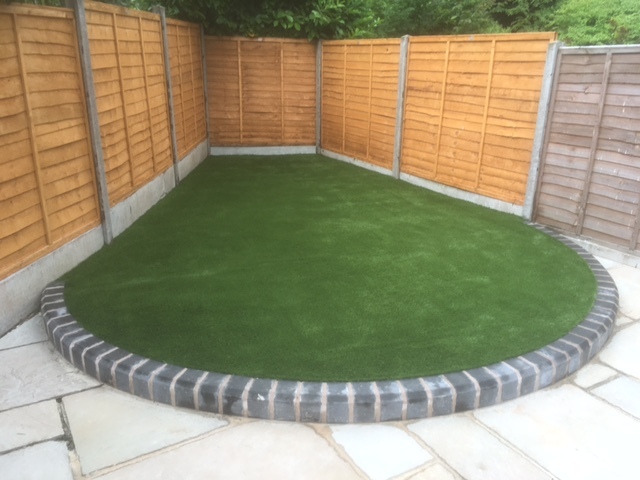 We are really pleased with the outcome of the installation and your 2 lads were a credit to your company, slogging it out on the hottest day of the year. Thank you again for a job well done. Can I just thank you and your team I am very pleased with the end result, your team worked very hard for which I am really grateful.